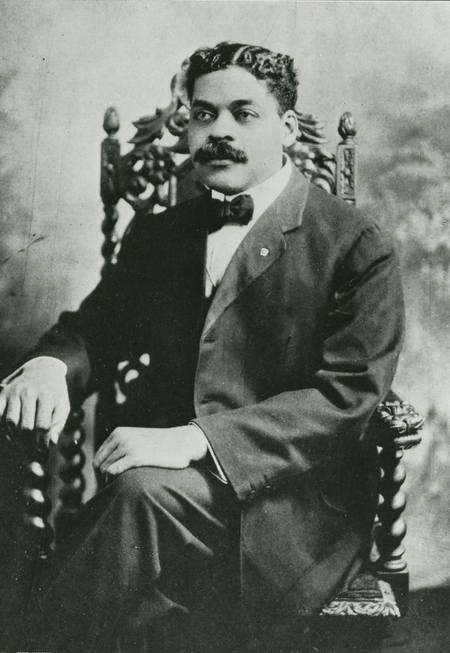 Schomburg Center founder Arthur Schomburg. The Harlem-based center is one of the world’s leading cultural institutions devoted to the research, preservation, and exhibition of materials focused on African American, African Diaspora, and African experiences. Photo credit: Schomburg Center for Research in Black Culture, Photographs and Prints Division, The New York Public Library. For decades, City College of New York student researchers have trekked down Hamilton Heights to the famed Schomburg Center for Research in Black Culture on 135th St. and Malcolm X Blvd. in search of knowledge. Now it’s about to get better for students of global black history. A new collaboration between City College and the Schomburg, a research division of The New York Public Library, will help undergraduates hone their research skills and enrich their access to this treasure trove of more than 11 million items. Conceptualized by CCNY’s English Department and its MFA in Creative Writing Program, this joint effort includes a new undergraduate course to be taught by William Gibbons, assistant professor in CCNY’s Library Archives, next spring. Entitled “Engl 37100 -- Selected Topics in African-American Literature: The Evidence of Things Unseen: Art, Archives and Harlem,” the course will offer students first-hand experience working with rare and important archival materials related to Harlem’s role as an important artistic and political center. “Our partnership with the Schomburg is part of a broader initiative to anchor creative writers in their communities while also taking advantage of Harlem as a vital cultural setting,” said Michelle Y. Valladares, director of the MFA creative writing program. Founded in 1925 and named a National Historic Landmark in 2017, the Schomburg is one of the world’s leading cultural institutions devoted to the research, preservation, and exhibition of materials focused on African American, African Diaspora, and African experiences. Its diverse programming and collections spanning over 11 million items that illuminate the richness of global black history, arts and culture.